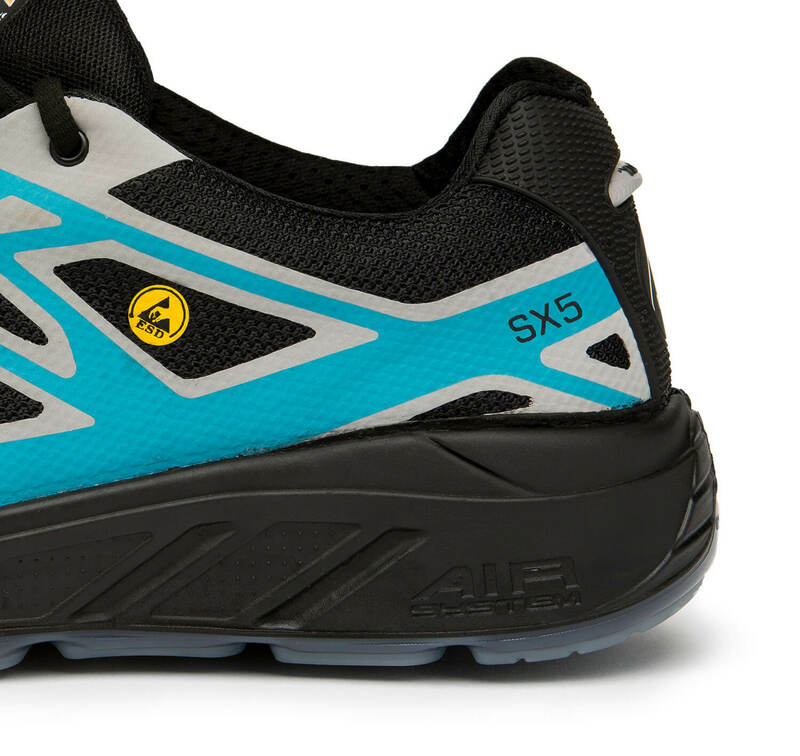 SX5 safety shoes are one of the four styles available in our S-SERIES collection – a comfortable athletic line, designed using industry leading technologies and safety features. SX5 safety shoes are characterized by our Tech-FiberTM anti-perforation layer that prevents injury when you step on sharp objects. 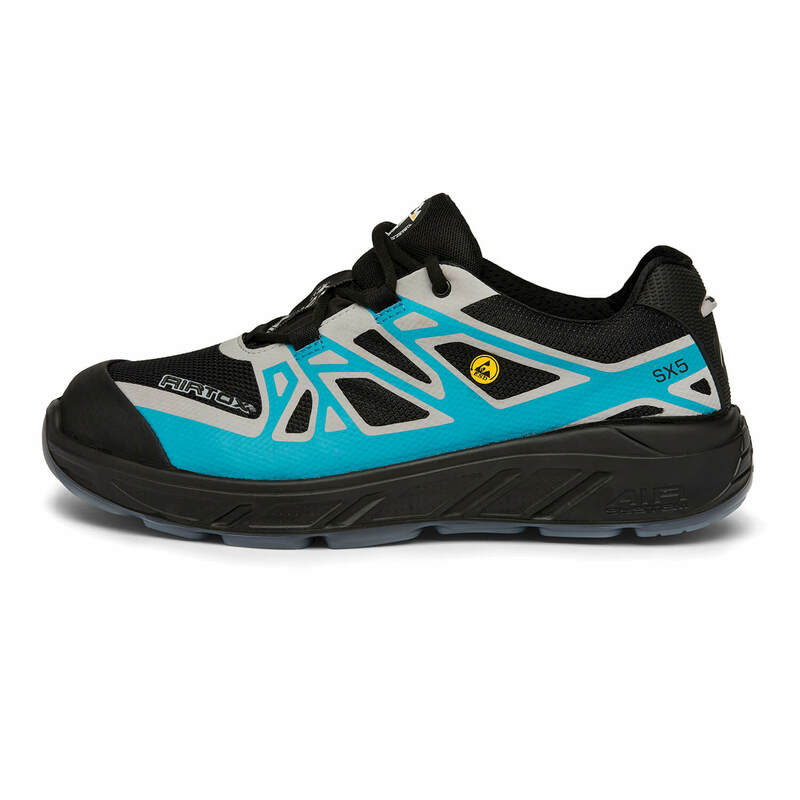 This line is also fitted with the Superlite NEO-SteelTM toe cap and coating with rubber skin on top to provide protection for both your toes and the forefoot of the shoe. 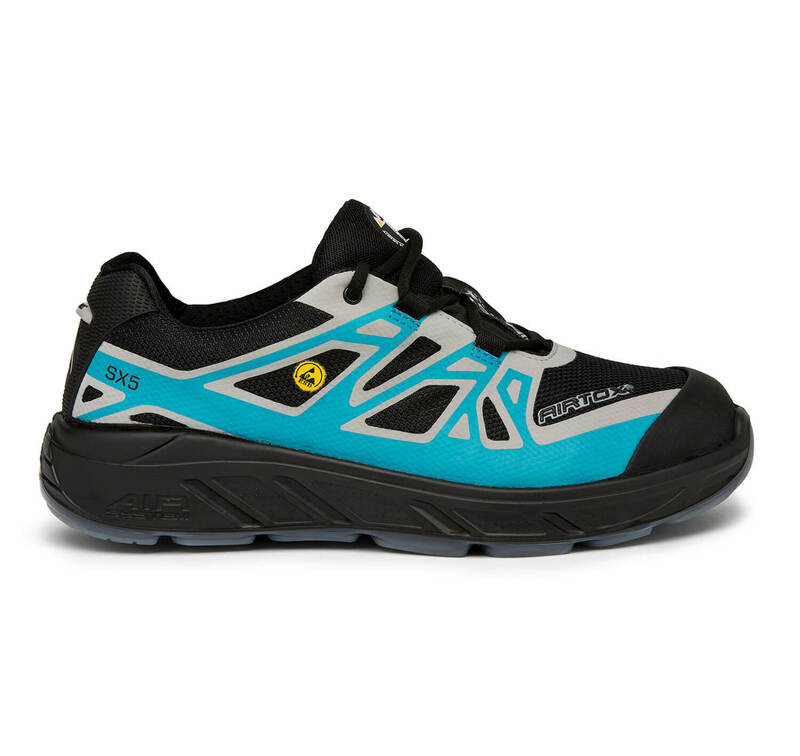 The SX5 safety shoe is equipped with a negative energy absorbing, breathable insole that supports your natural movements and helps transport moisture away from under your feet. They are finished with an extremely durable, slip resistant and great-looking transparent TPU outsole. Moreover, the transparent outsole is a great solution for everyone needing to avoid leaving black marks on flooring. 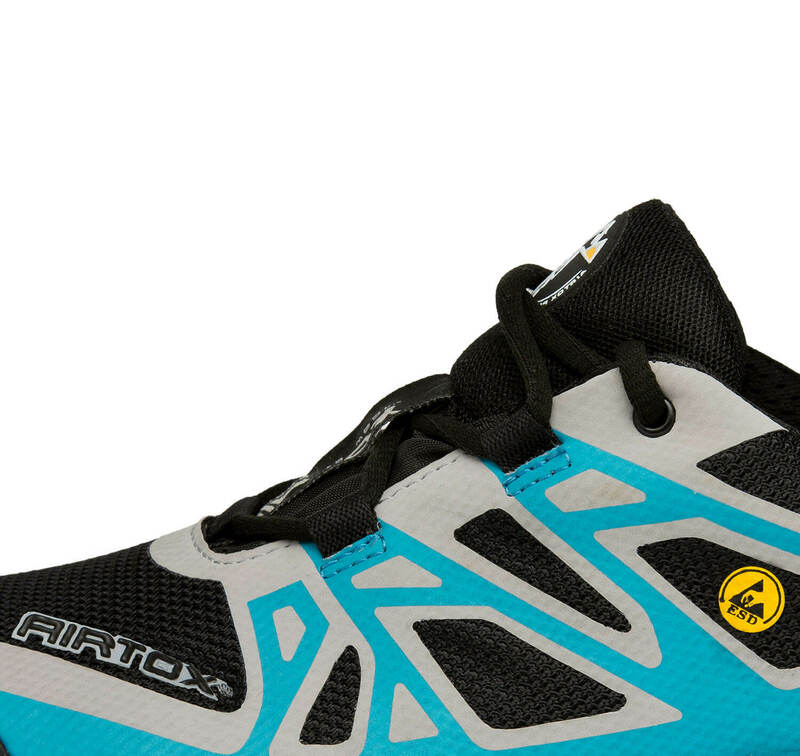 The SX5 model contains our lightweight and highly flexible AIR-SYSTEM midsole. It was designed to provide you with shock absorption throughout the sole, so you avoid potential back pain and knee problems. The upper of the SX5 safety shoes is made with breathable CORDURA textile leaving your feet feeling ventilated and fresh. The highly advanced technologies and innovative safety features used in the production of the SX5 safety shoe will guarantee safety and comfort, supporting you throughout your entire workday. Available in one color version: blue, black & gray (for a different color combination see SX4). Construction, landscaping, manufacturing, warehousing, postal services and other areas of work where safety footwear is required. Every shoe material requires a different care. 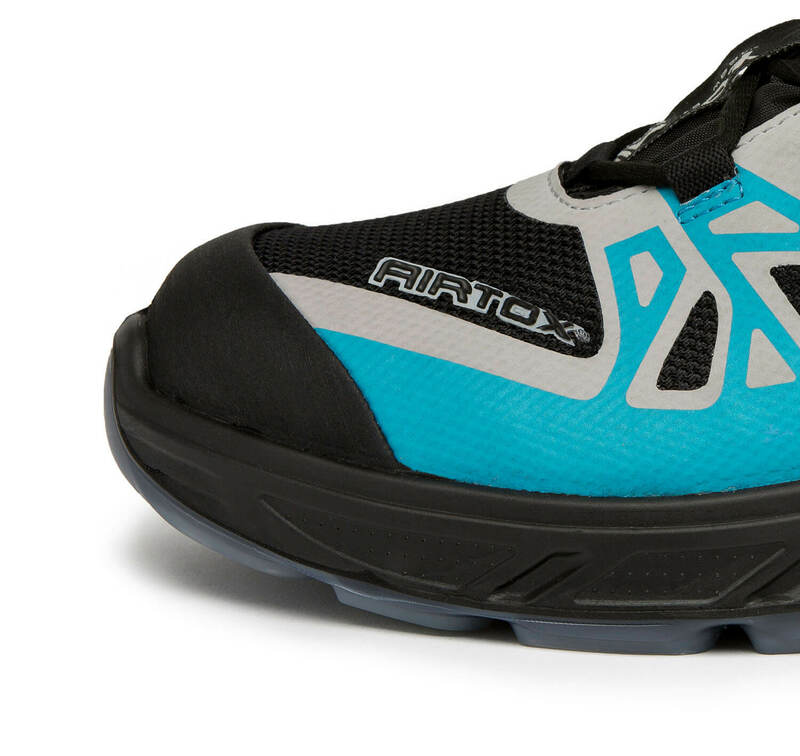 If you want to enjoy perfect look and great technical features of AIRTOX shoes for long time, you should be aware of a few rules in footwear care that have an influence on their “lifetime”. See more in FAQ.